This place of thoughts is viewed as a window of dialog between businesses and institutions from all business sectors, and between decision makers of these institutions. It focuses on facilitating fruitful thinking and debate, and does not aim at bringing “ready-to-swallow” responses on topics which are never “ready-to-swallow”. They come out of our practice and experience lived during mandates with clients. They may sometimes go against standard ideas or business fashion – they may sometimes be perceived as difficult to swallow – or confirm deep trends which we think that we have identified. Please then consider this as food for your thoughts and possibly later, for action in your specific context and priorities. We have developed a set of propositions targeting to renforce the presence and contribution of women in technical jobs and leadership roles. In this respect, we actively support the “Expanding Your Horizons” Foundation, which helps girls to consider studies in the technical or scientific areas, where they are desperately in short supply. Geneva was the place where the first conference ever organised in Europe took place. This was in 2009. Since then, Expanding your Horizons’ conference takes place every other year with the very active support of the Geneva State, the University of Geneva, the City of Geneva, the Hepia engineering school, Geneva Employers’ Associations and numerous companies and institutions. They have gathered some 2’000 girls in total from Geneva and its neighbourhood around workshops allowing them experimenting in such domains as scientific, technical, engineering and math. A discovery forum further offers them the possibility to make funny short experiments and dialog with female professionals from these corporations, schools and universities on their background and the numerous opportunities of studying and, later, working in these fields. The next one will take place in November 2019. When we ask CEO’s and executives about the priorities on top of their agenda, many of them say two of them: the need to continuously improve the performance of their business and the requirement to increase the capability of their organisation to be more than ever flexible and adaptable to continuous changes. These two objectives are obviously interlinked. When seeking to increase the service to customers, improve the productivity, enhance the innovation stream or better penetrate existing or new markets: is it managing the corporate performance or managing change? It is both at the same time. Introducing improvements and evolutions to better manage the company aims at improving its performance, whether viewed from the eyes of its shareholders, customers, employees and the community surrounding it. It also means managing change, whether small or large, limited to a specific area or involving many of the company’s stakeholders. The issue arises when deciding how to introduce these improved ways of doing business. Measuring again the performance indicators to highlight the (expected) improvements. On the other side, the methodology of change management rather focuses on deepening the level of acceptance of the changes: the more the expected evolutions are accepted by the concerned stakeholders – in the vast majority of cases, the key stakeholders at stake in change management are the individual employees and the employee community – the deeper and the longer the change will last, thus providing consistent and long-lasting results. In change management, the management will therefore launch initiatives aiming at obtaining the buy-in from mployees. Efforts are put in involving employees from the early stage, i.e. identifying the critical issues. In such an approach, no one can assure to obtain the buy-in of an individual or even more of a group / team to a certain extent and in a given timeframe. Change management programmes are therefore very flexible in terms of resources allocation and time planning. We have witnessed many situations where a number of small steps in the expected direction were annihilated by a big step back for an unknown and unexpected reason. Although the required changes can call on rationale arguments that many individuals can understand, changes simultaneously touch feelings, beliefs, fears and threats whether they are real or supposed, present or potential. They may relate to this future, to the new state of being that it will introduce for each individual and for the team in sensitive areas such as role, status, activities, values, relationships, opportunities. Theses emotional arguments are therefore far less predictable. They however possess a tremendous leverage capability in terms of employee engagement. Once the employee / the team is convinced that this change is good for him / her / them – whatever this means – then his / her / their efforts will be multiplied to reach the desired state. This observation is naturally valid for employees at any level in the organisation and not only shop-floor and backroom staff. This comparison does not imply that performance management is not taking into account people and their necessary level of acceptance to see change happening. It does not mean either that change management forgets about time constraints and high expectations on results that lie on Senior Management shoulders. It rather says that one is primarily focusing on a top-down, fact and cause-effect relationship, whereas the other one is rather bottom-up, guts’ adherence, and any-progress-even-small-is-fine type of approach. This dilemma is a tough one, particularly at crisis times. Shareholders are expecting quick results, customers are offered more effective, more reliable, less costly alternatives by competition every day, the public opinion can move rapidly on certain hot topics such as sustainable development and community-friendly behaviours. At the same time, employees at all levels seek to be engaged around the corporate objectives. These priority goals, in many instances, directly or indirectly affect their work and employees are ready to move on when they have developed the deep belief that these goals are good for them – or at least that they will hurt less than they will be beneficial to them. 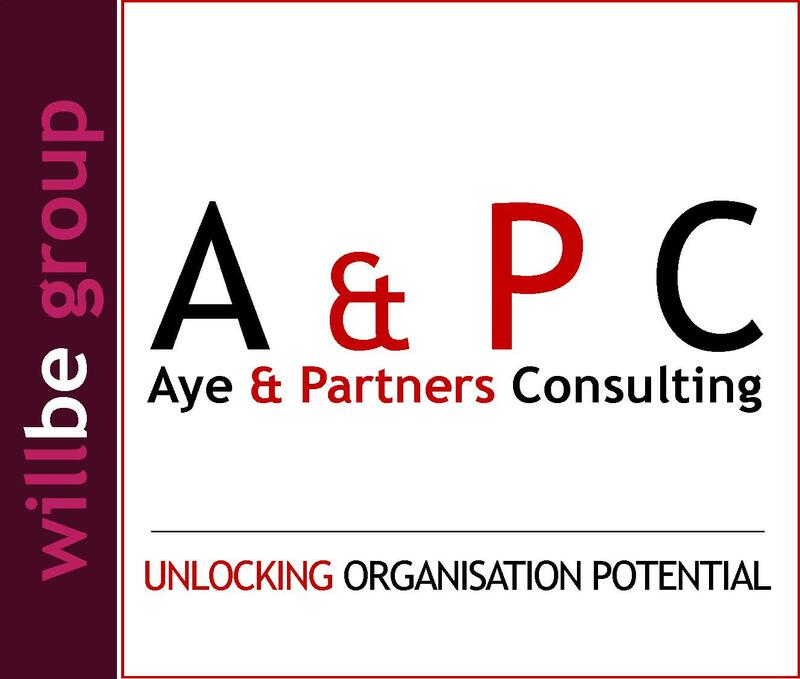 Such dilemmas are observed when a corporation is engaged into a strategic move, a reorganisation, merger or major acquisition. In 90% of cases, a large consulting firm is hired to help plan and implement the strategic move, thus reinforcing the visibility on expected return on investment. A change management programme is incorporated into the overall exercise to convince employees that the change is for the better, that the strategic move is good for them. Result: 80% of mergers and acquisitions do not bring the expected results. In 80% of such failures, it is due to human factors: cultural issues, poor integration, limited understanding of what the change is all about. At this stage, there are three ways to resolve the dilemma. The first one is to go either for a solid, tough and straight performance management or for a lengthy and soft change management approach. The second way is to become purposely schizophrenic and try to do both at the same time. In the first case, top management and shareholders, or the employee community will go nuts; in the second approach, both will. The third way is to do what could have been done: be prepared and do no change management programmes and performance management initiatives during changing times. Look at a young child: s/he is putting his/her life at stake at every minute to discover a new world, a new sensation. S/he is eager to try and test new things with his/her fingers, toes, mouth, eyes, ears and any other part of their body and soul with so much intensity. What do we do, as parents, with young children? Do we prevent them from doing any thing, listening, touching and watching? Usually – apart from protecting objects from their sometimes devastating eagerness to discover their environment – we encourage this discovery and we create a protected environment where they will be able to go and discover new banks of their life-river in a safe way. Likewise, executives should re-generate this change eagerness among their employees / their teams in a safe way. The capability to absorb change is a skill that should be part of any organisation, at any time. A mature organisation should not only accept change but seek change and nurture change. It should be part of its key performance indicators. Is a reorganisation, a merger or an acquisition a safe way to test and try new things? It certainly is not. It is rather the contrary. Employees run most risks at the same time: their job, their revenue, their colleagues’ consideration, their status vis-à-vis their family and relatives, their development opportunities, their self-accomplishment and their self-esteem. Most employees are far less ready to take risks at changing times than during steady ones. Employees / teams therefore have the opportunity to understand to their role, their contribution and their accountabilities and give them a perspective. By reviewing their organisation, roles, processes, performance and ownership in making things happen, in increasing their satisfaction and other stakeholders’. By taking a distant view on these changes when times will have come for transformations. Staff are further given the initiative to improve existing situations, be empowered to innovate, try and test safely on better ways to make business, in a safer environment. Rendering the organisation agile and ensuring the alignment of it and of its staff to the identity of the organisation, the corporate strategy and business model is the surest way to make sure that deep transformations wil be driven broaderly, more quickly, more reliably and far less painfully for the entire company / institution.